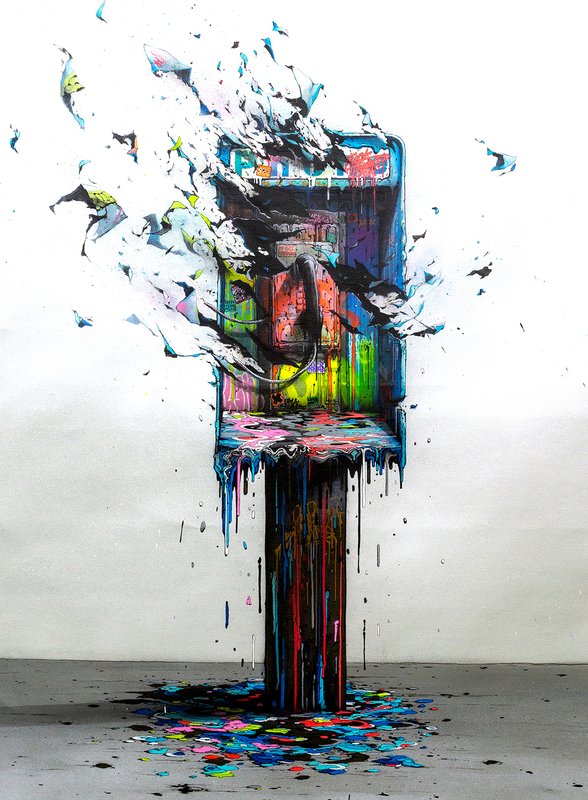 Brusk was born in 1976 in Lyon, France and graduated from the Fine Arts School of St. Etienne. 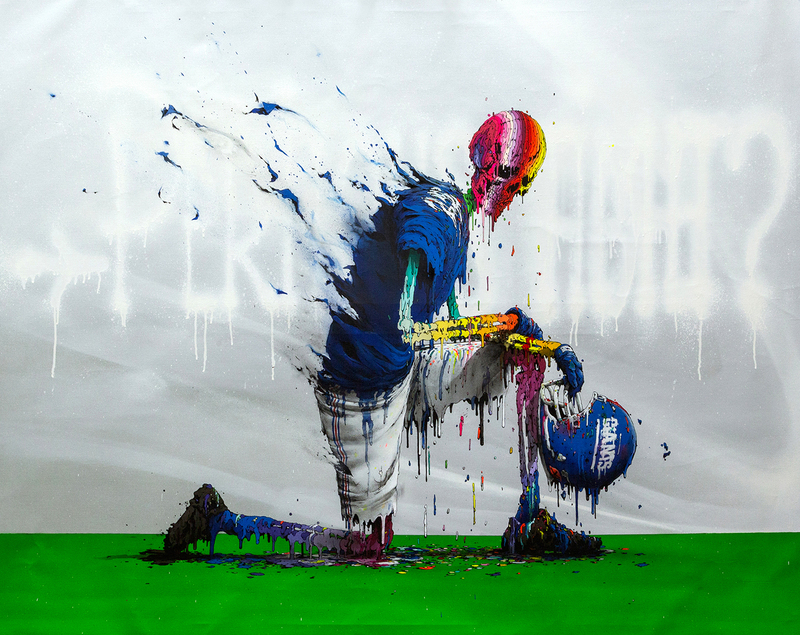 He discovered street art during the 1990’s and created his first graffiti pieces at the Lyon Part Dieu station. 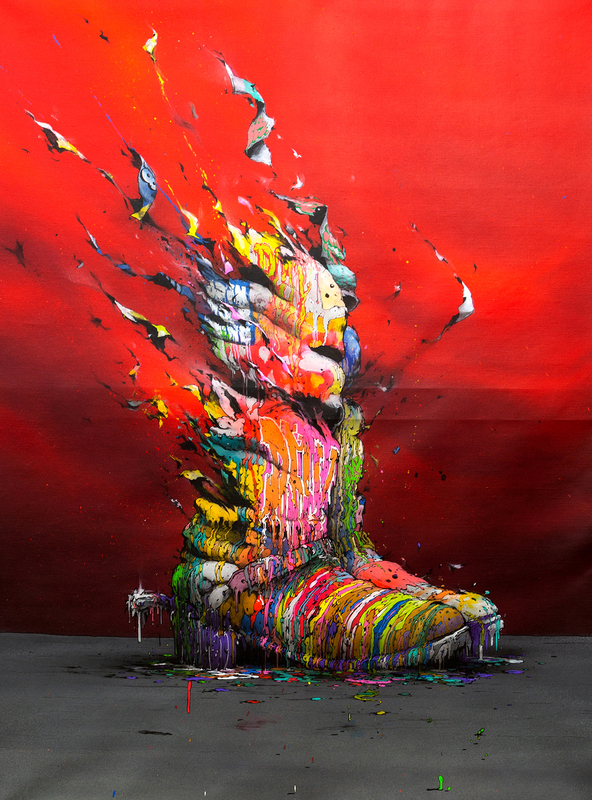 He’s best known for his dripping painting style but also craves new techniques and works in various media, including photography, video and digital art.